Here at the Haus of Mama, we've been trapped in the clutches of a mega clear out. 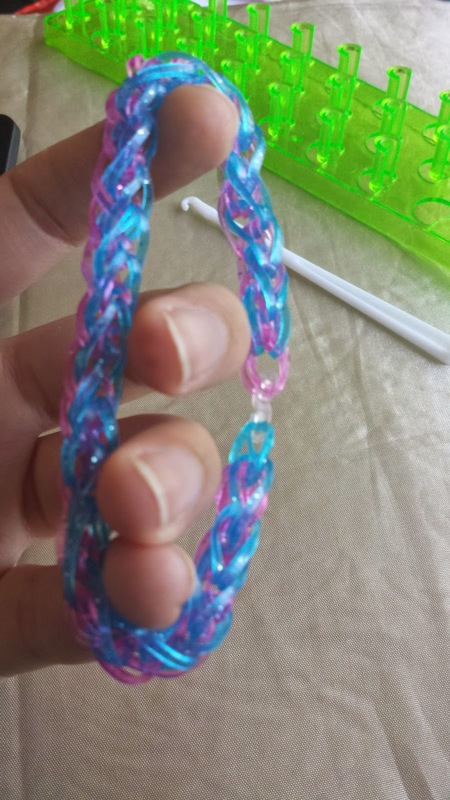 Anyways, as a way to have a 5 min breather from the dusting, bin bags, boxes and what not, I've been joining Agent M in making some Loom band bling. 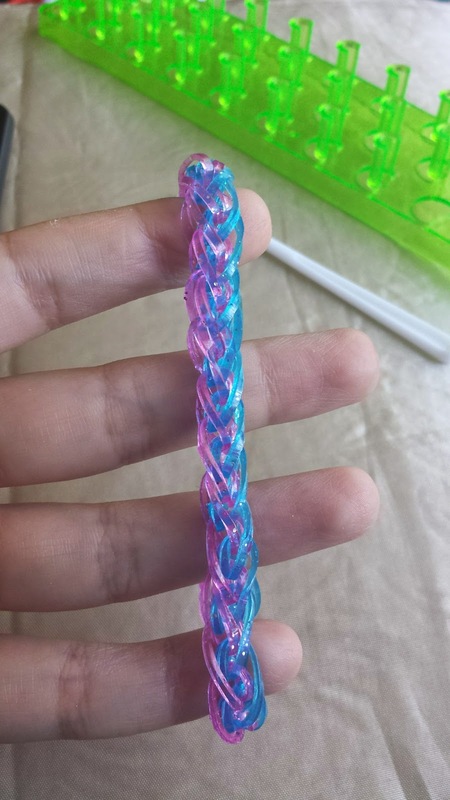 Since I'm running the giveaway a la loom band, i figured I'd show you some of the jazzy things you can make with them. 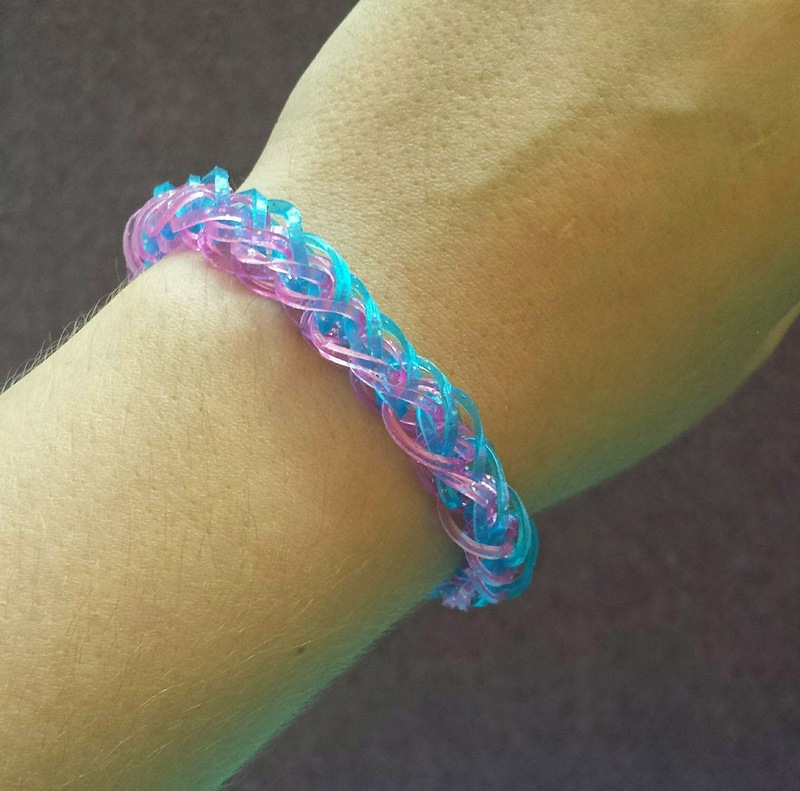 I really liked this style of bracelet and after watching me do it Agent M picked up on it within minutes. 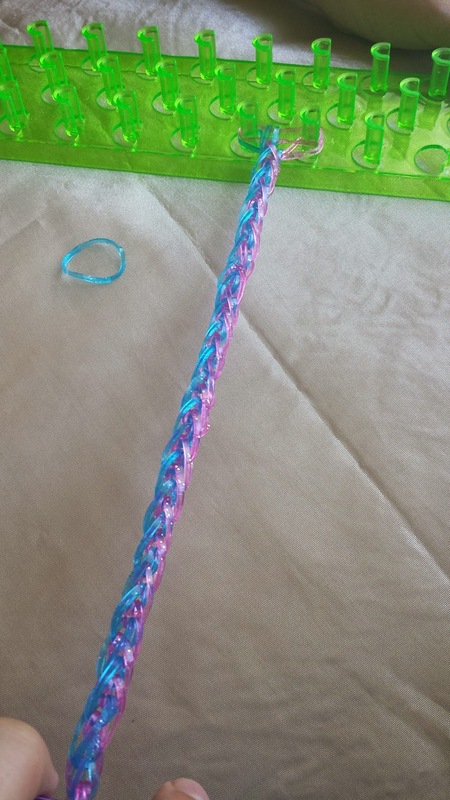 Its so easy and looks funky when you use contrasting colours. You'll need 25 of each colour. I used pink and blue in the glitter ones. 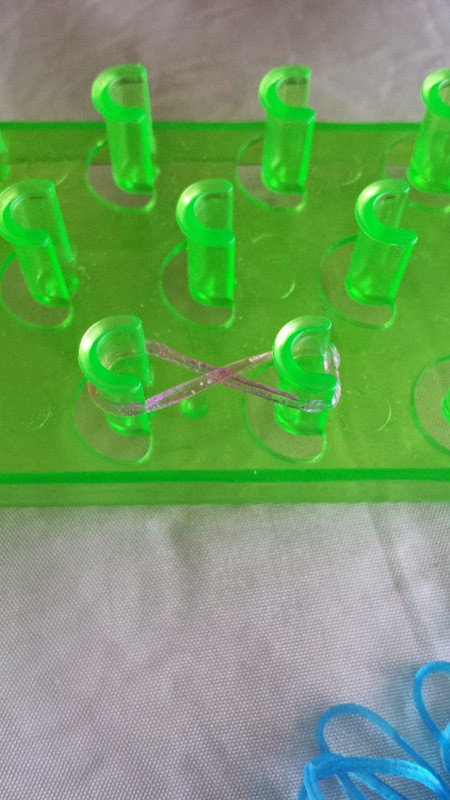 This will serve as your "holder band" *it probably has a technical name but I don't know it* ... it will keep all the bands from falling off and where you can attach the "S clip". 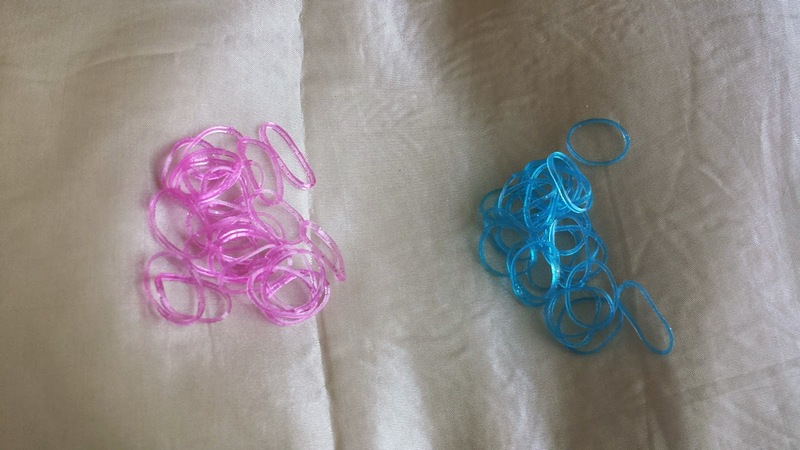 Add another pink band on top of the blue one and this time we're going to hook some bands and start the loom. 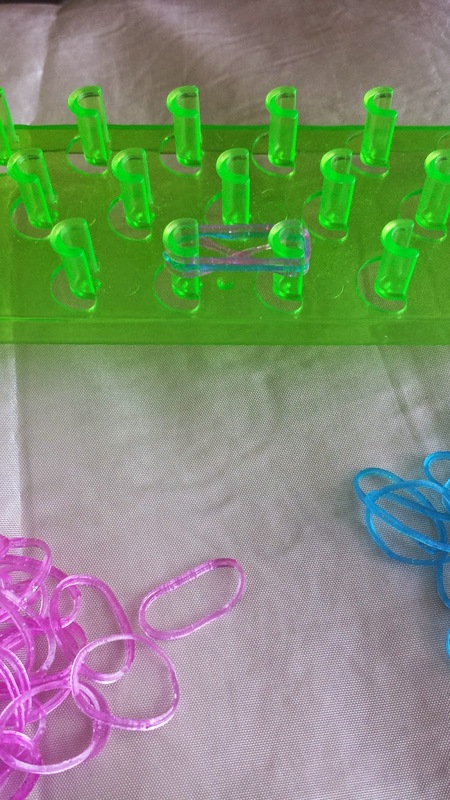 Start by hooking the bottom left band up and over all the bands ... then do the same on the right. 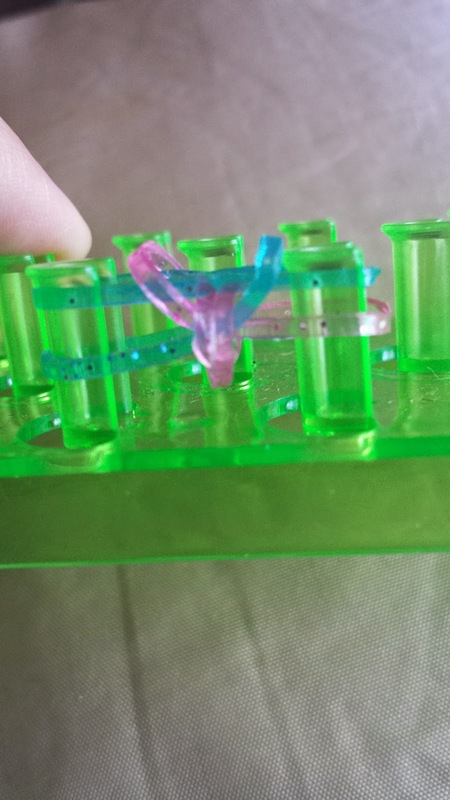 Push the bands down so you have plenty of room to add bands. 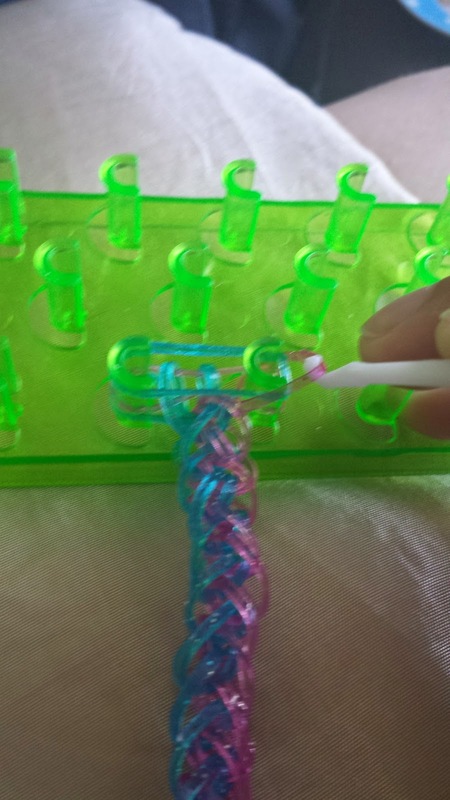 Push the bands down and add the next colour (pink). 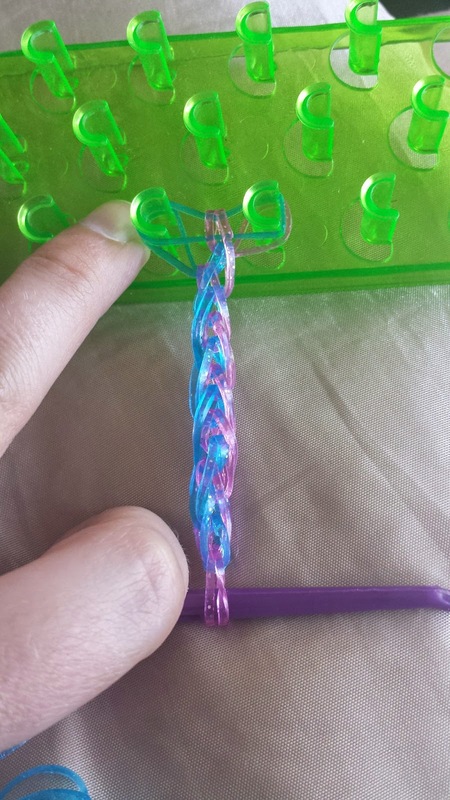 Using your hook we're going to take the bottom left band and pull it up over the bands and then pull up the middle right. Again you will be left with 2 of the same colour on one side and 1 of each on the other. Push down and add the next colour. Because the last time we took the bottom left band, this time we will take the middle left band and pull it over. Next take the bottom right and pull it over. Push down and add the next colour. Repeat this pattern ... making sure your pushing down the bands after you pull the bands up.